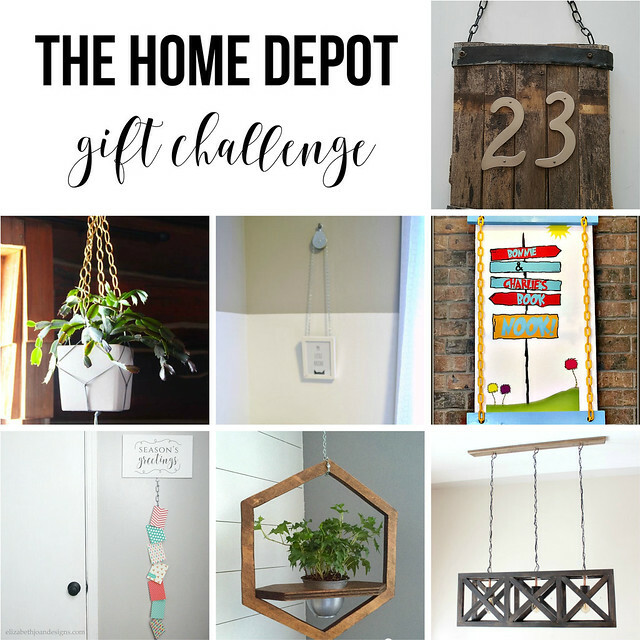 Well friends, it’s time for another Home Depot Gift Challenge! 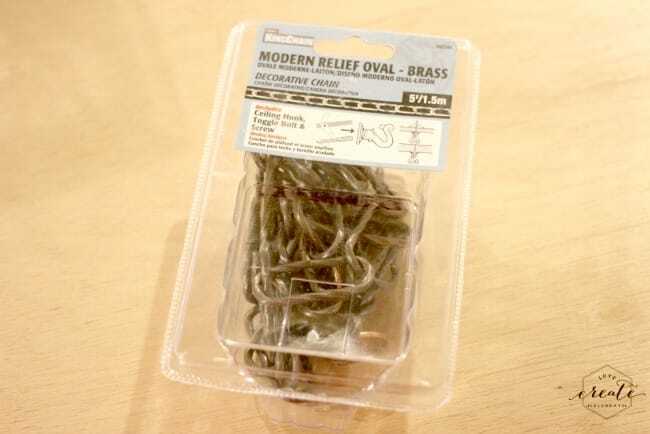 This is the challenge when we chose an item from Home Depot (*not sponsored, we just like their products! *) and a creative group of bloggers made new DIY projects form that object. 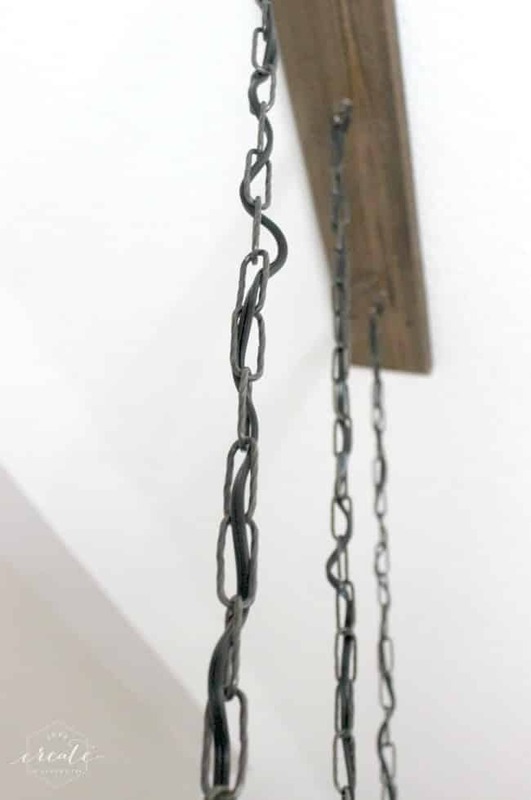 This month we chose chain, which was perfect because I have been wanting to make this new Industrial Pendant Light for a while now! We’ve had this light in our kitchen since we moved in. Sure, it’s pretty… but in my opinion it’s outdated. It’s not my style. AND it’s not centered! That’s three strikes. Time for a change. 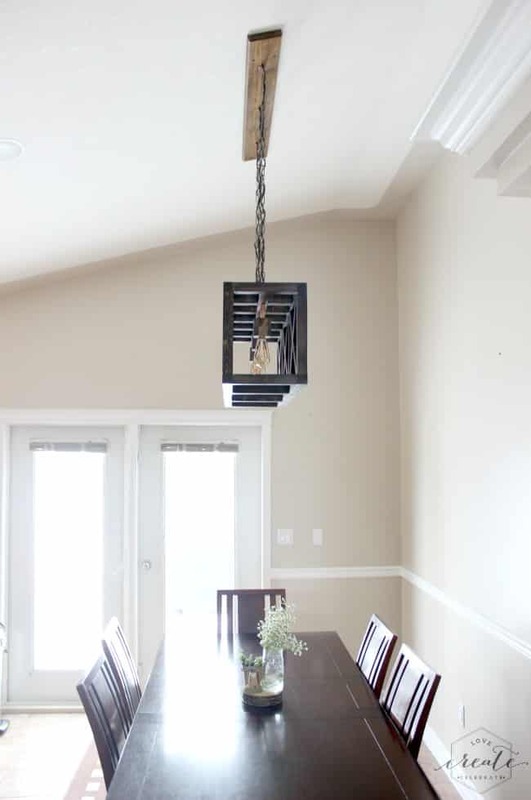 Once I knew we wanted to make a light fixture, I chose this metallic decorative chain from Home Depot to hand the fixture from the ceiling. Start by downloading your FREE PLANS here! 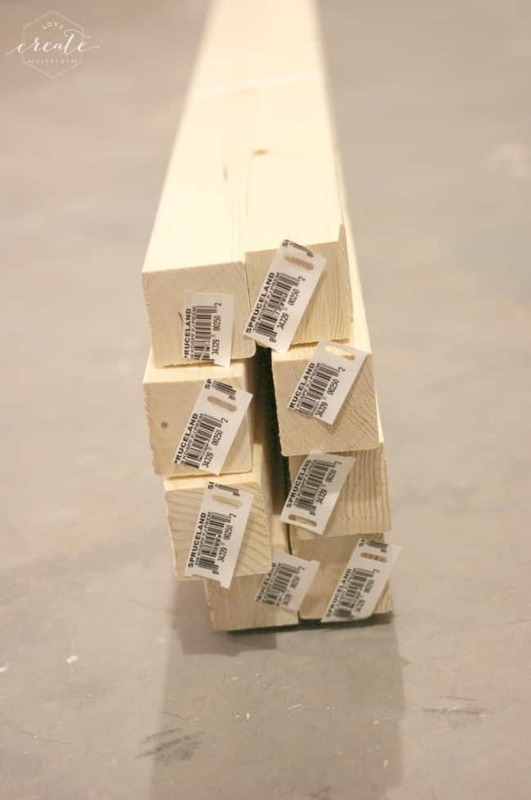 A list of lumber required for the project is included in the design plans. 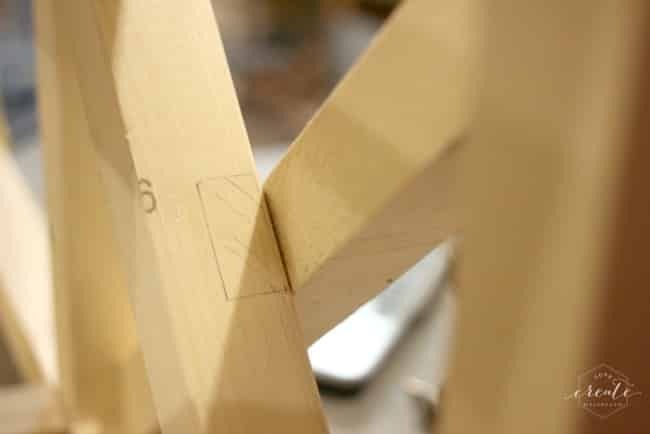 Start by cutting all of your wood according to the “cut list” in the design plans. Sand all pieces prior to assembly. 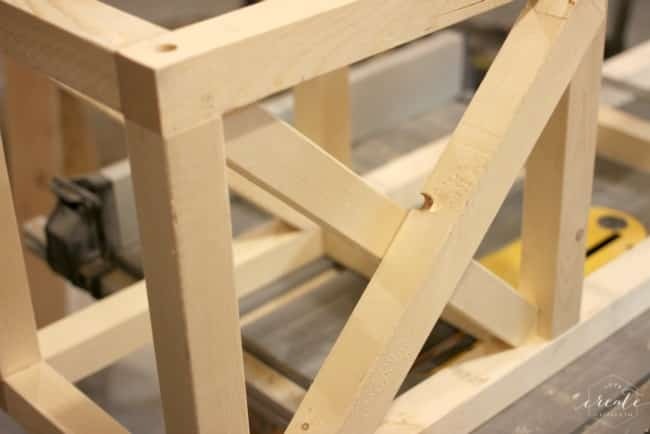 Assemble your side frames (parts C, G, E). Glue and clamp to let dry. 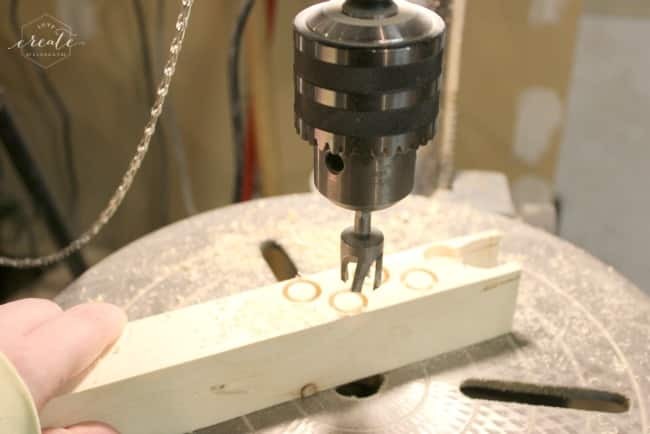 After the side frame was dry, we made a jig to drill all of the holes for our dowels to ensure that they all lined up. 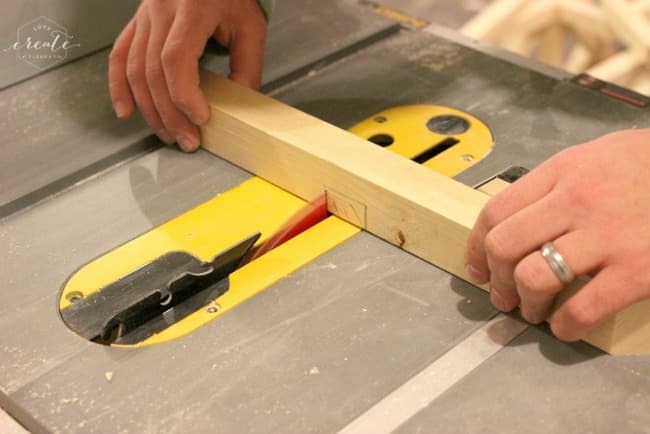 Next, you want to cut out part F and put them in place to mark out the part you want to notch. 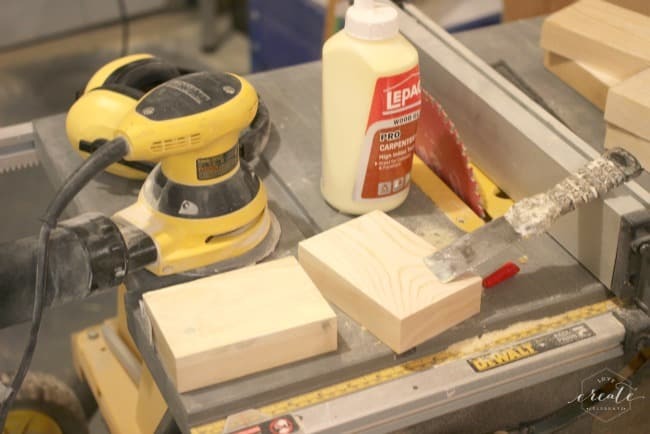 Use your table saw or router to notch out the middles of the F parts. The parts should fit snuggly. 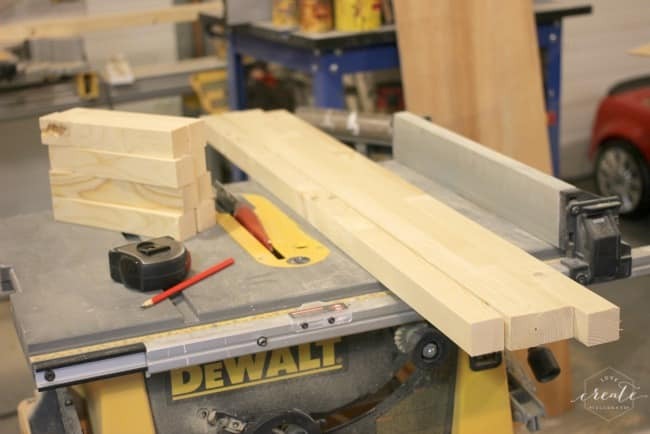 Now, glue two pieces of your 2x4s together to create part I. We started with two larger pieces and cut them down, as per the designs. 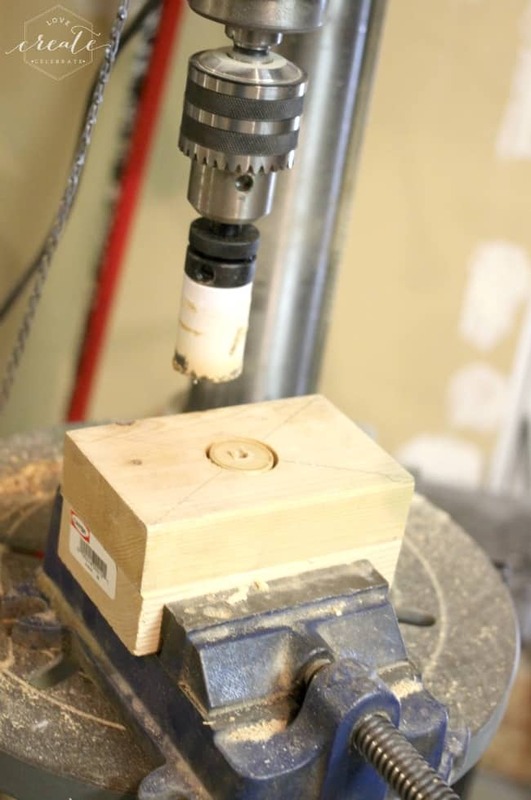 to drill a hole into the part. We used a chisel to break out the plug. 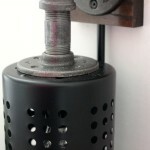 to drill out the bottom and allow access for the wiring (see diagram). Cut edges of part I according to design plans. Finally, cut and assemble parts B and D for the top of the light fixture. 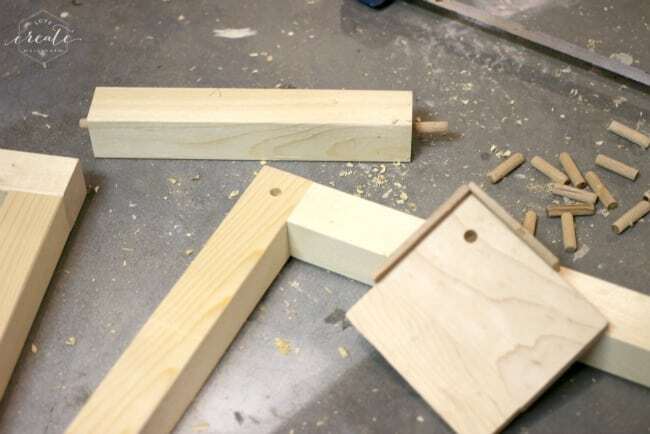 Also assemble the bottom of the fixture – parts E and D.
Assemble the sides, top and bottom together. Glue and screw everything into place. 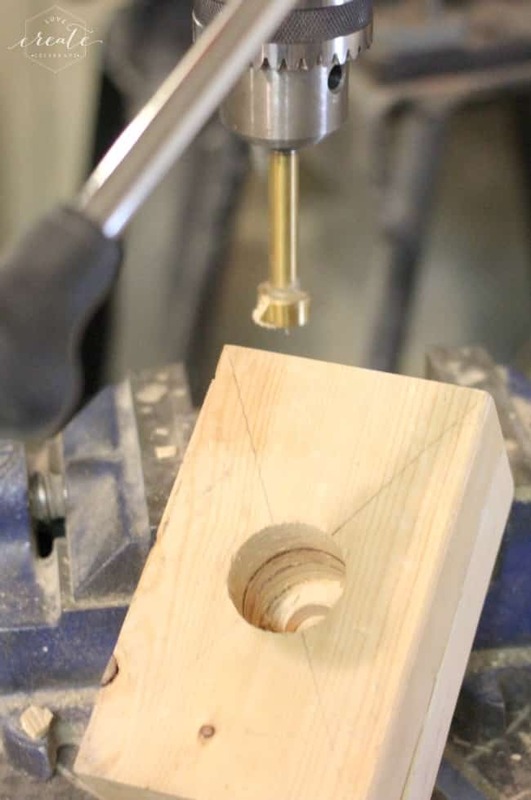 Cut plugs to fill the screw holes. 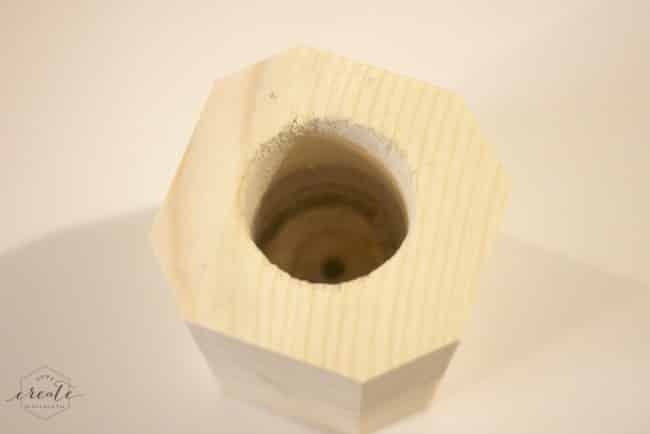 Use wood filler to fill any holes. 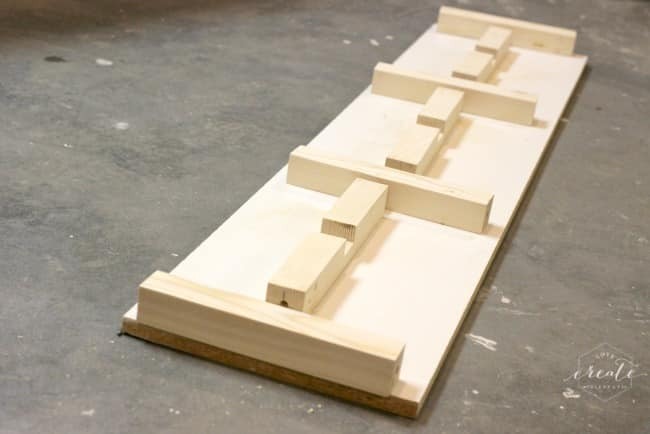 Once the glue and filler is dry, give the piece a final sand. When all the parts are ready. Stain and varnish to desired finish. Glue copper pieces (part J) in place after the stain and varnish are dry. 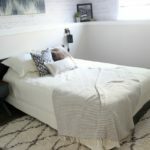 I’m sorry to tell you that this is the final Home Depot Challenge :( It’s been SO fun getting creative with new Home Depot projects and working with my fellow amazing bloggers! I’m SO happy that you enjoyed it! 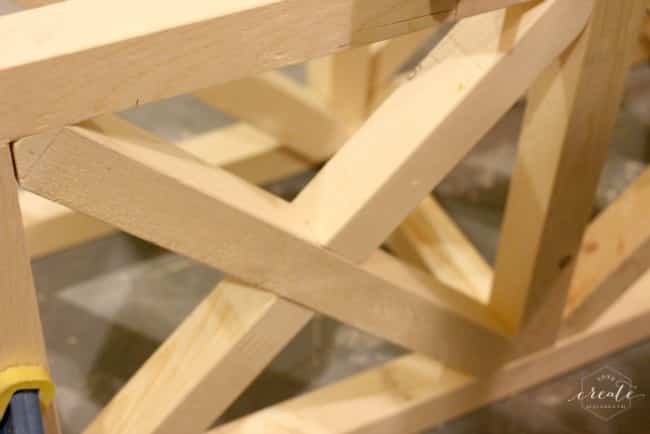 For now, make sure that you check out the other projects from the final Home Depot Challenge. Click the photo below to find the tutorial! Wow this is gorgeous! What a good idea! These things are sooo expensive from a store..was the wiring difficult? Thanks!! The writing was all the husbands job, but in his words, “it was easy sauce” lol. If you know anything about wiring it’s pretty simple. He can answer your questions if you have any! I love, love, love this. I want to copy! I’ve needed a tutorial like this. 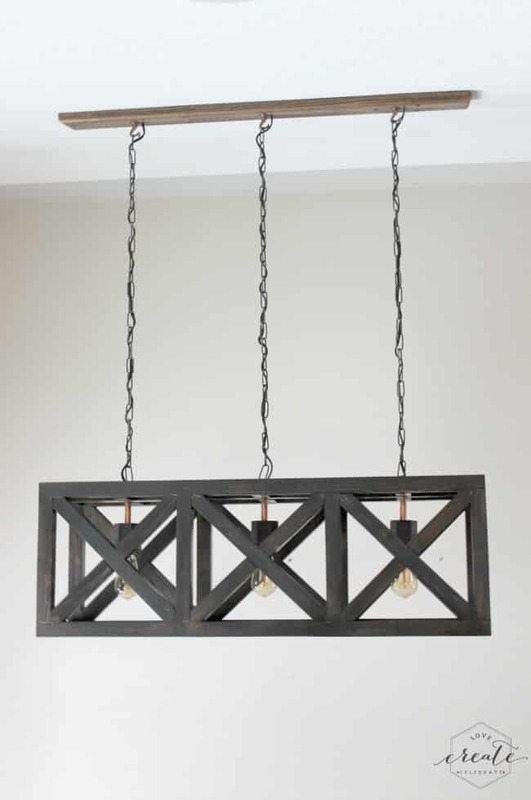 I thought of doing something like this, with the 3 lights, but can’t figure out how to get the 3 lights into one fixture space, does that make sense. I’ve been needing this, thanks so much for posting! Haha, it does make sense! So glad you liked it!! If you make one, you should definitely tag me on Instagram!! Lindi this is amazing!! Soooo beautiful and just perfect over your table!! Amazing job Girl!! Thank you :) I’m so in love with it. Changes the entire feel of my kitchen! Looks great! 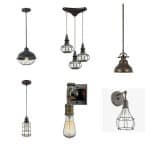 It would actually look well with what we have picked out for our new house! Lindi, you have totally outdone yourself! I can’t tell you how much I love this! GREAT job! Oh my gosh Lindi! Now, can you come build me one?! This is beautiful! Gold star for totally thinking outside the box! Thanks Jen!! I’m so in love with the light. Glad to have finally made it! What stain did you use on it? Wow! I am so impressed! 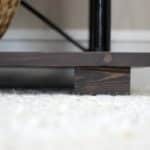 The scale is so wonderful over that table and it look so good I wouldn’t know it was DIY! Such a great light and super unique. Love the Edison bulbs. Visiting from The DIY Dreamer party. 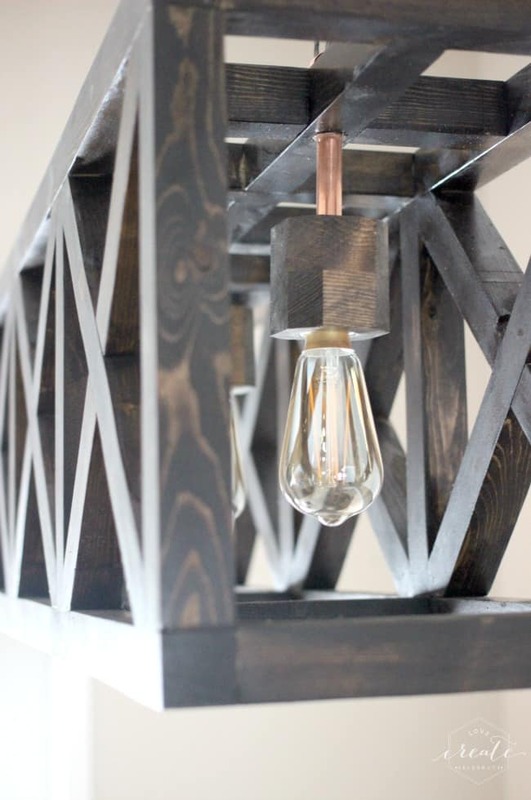 This fixture is stunning, Lindi! It looks amazing over your table too! It was so fun working with you on these challenges and thank you so much for everything you did to coordinate this!! 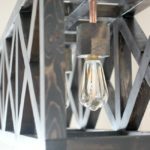 I absolutely love your DIY light fixture from the style, the stain color, the Edison bulbs – well done! 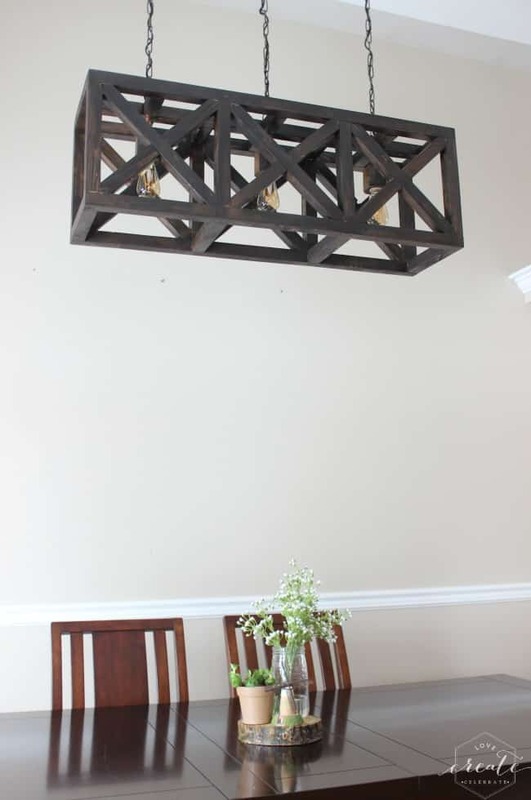 Pinning to share and definitely showing my son who is adding some rustic goodness to his dining room right now. Lindi, this light is awesome! Yep, this is just fabulous!! 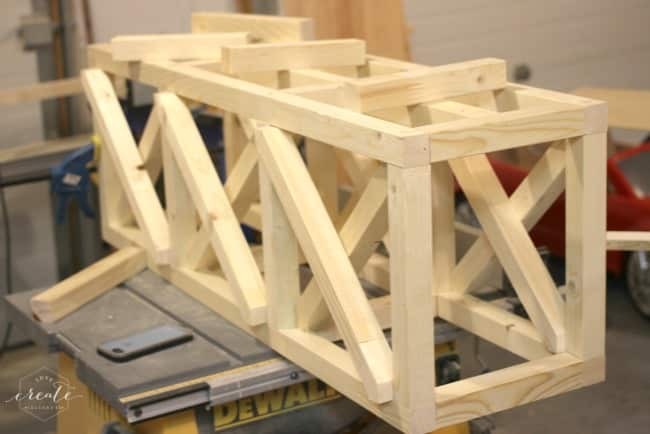 So impressive that you designed and built it – it’s something to be proud of! 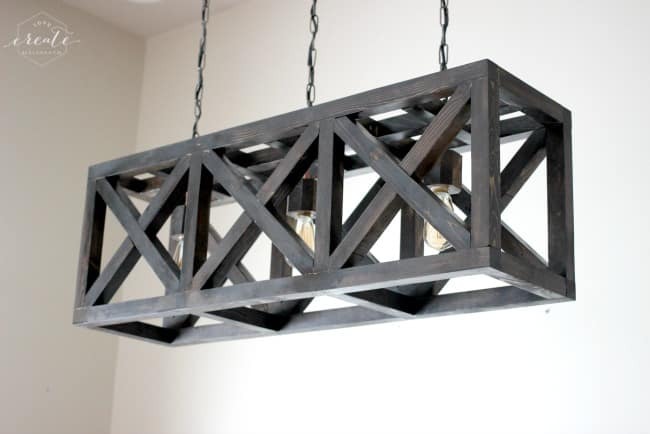 This light fixture is gorgeous. Really, really gorgeous. I would love an in-depth tutorial on how you put together the electrical part. I have imagined doing something not quite as complex due to my lack of work space and the necessary tools, but what has kept me from it is the electrical part. It’s beautiful. I’m really starting to love the industrial look. 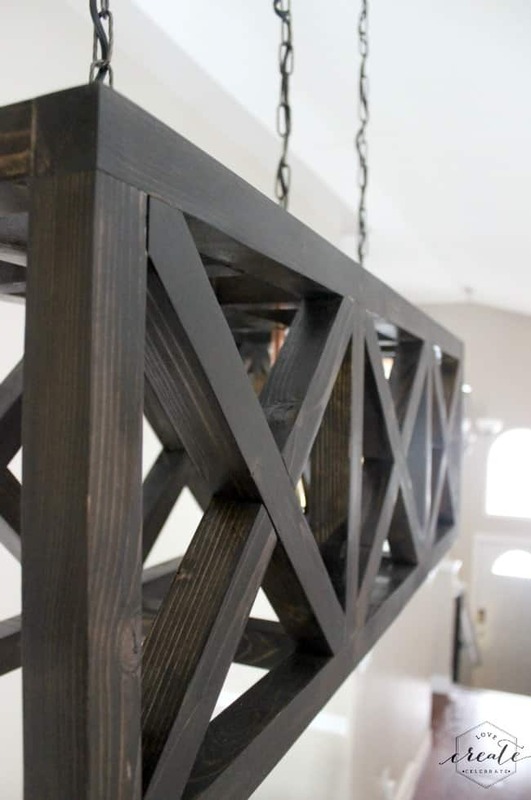 This just might be my favorite DIY light fixture ever! You did an amazing job! I just absolutely love this. Proud to have it as one of our features at The DIY Collective! Thank you so much for sharing! Wow, your light is amazing! I would never have thought it was DIY. 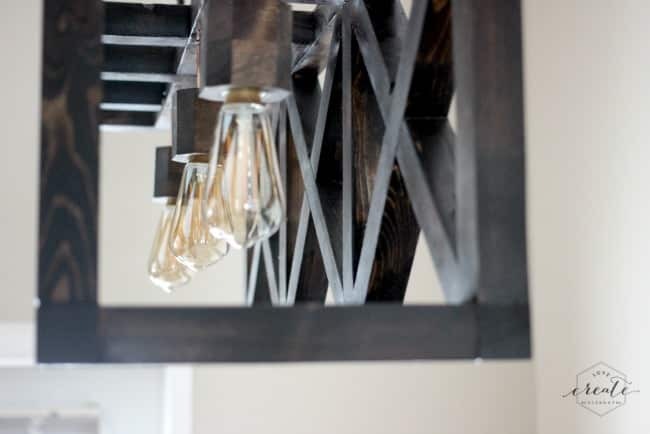 The Edison bulbs were the perfect finishing touch. 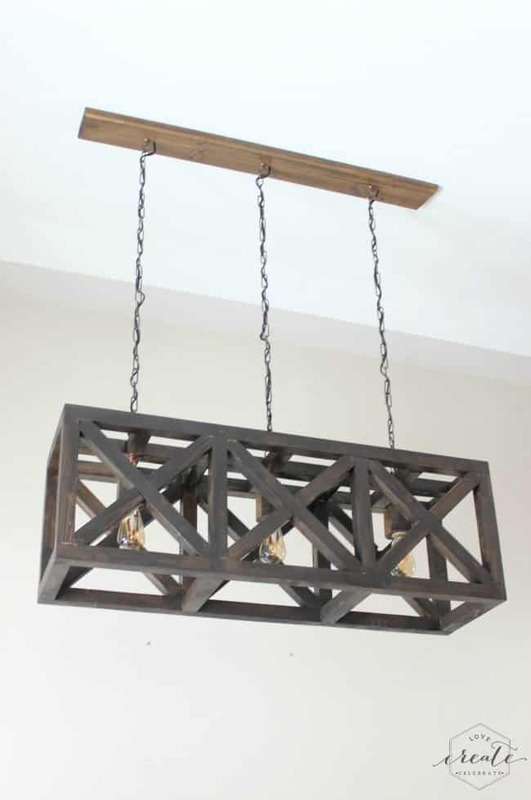 I love love love this light fixture!!!!!!! Looks great in the space and I like the design a bunch! What an amazing project! It turned out perfect. Thanks so much for sharing with us at Merry Monday. This is absolutely fabulous!!! 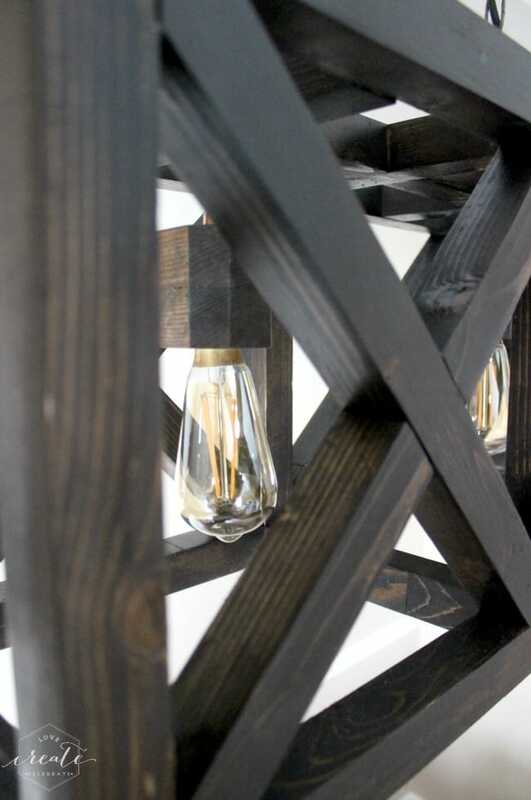 You make creating a light fixture so simple. I will definitely be using the info here and creating my own! Love, Love, Love!!! Currently building a Japanese style fence and gate. Then going to build a dining room table. 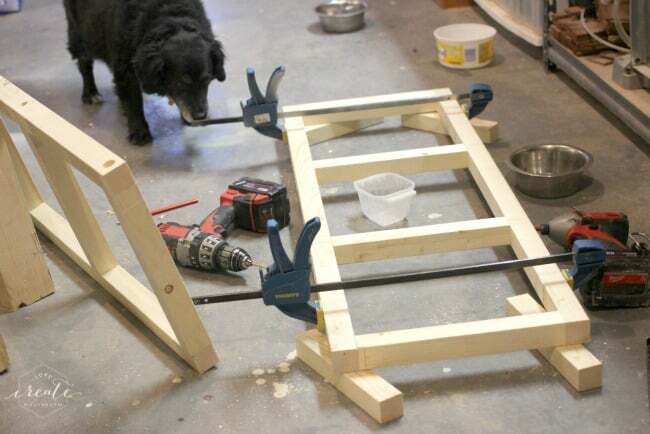 And now I know what I am going to build after the table. I plan on painting the wood an off white. I will pin on Instagram when done. Gosh I love the Internet! Thanks for the great project. It is awesome! I have a question. 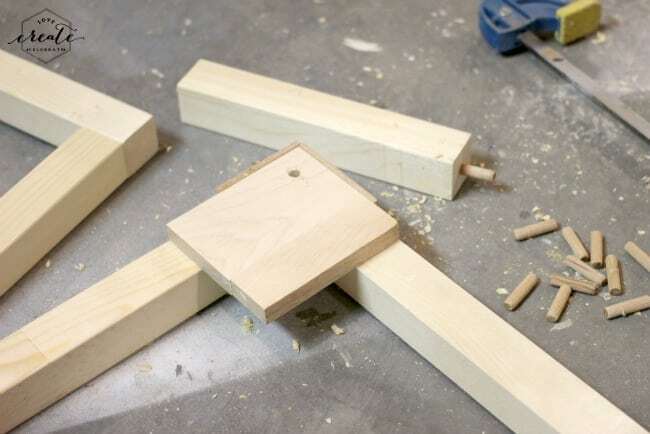 In the instructions you have included a top piece out of a 2X6X8 but in the pictures it doesn’t look like there is a top. Did you make it without the top? Great question! 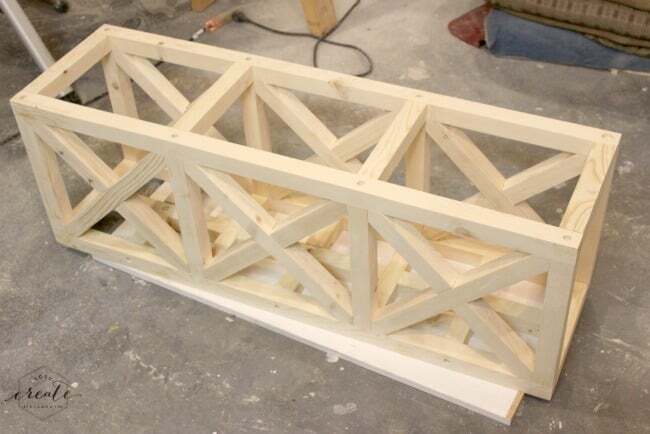 The 2x6x8 is the piece that we routered out and mounted onto the ceiling. We planed it so it’s a bit less than 1.5″ now. If you build it, please tag me! I’d love to see it finished!! I want to say a BIG Thank You! Thanks for answering my question. I also noticed you have answered others. I really appreciate that. Very thoughtful of you. 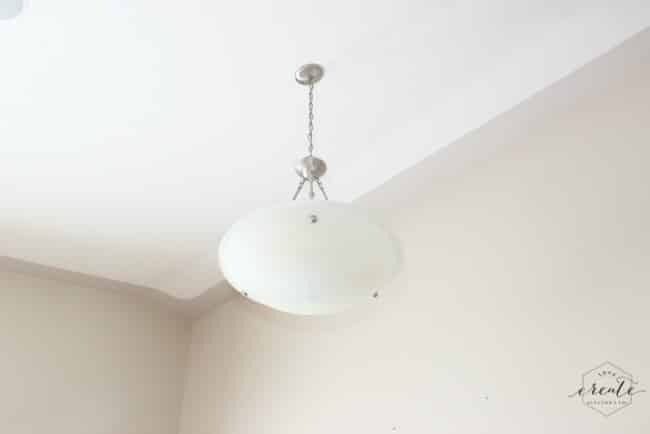 I promise I will make sure you see my finished fixture. We are going on VaCa in 2 weeks. I am one crazy lady. Between working 40+ hours, trying to maintain the house and yard, and making quilts I am always busy when I am feeling well. I could use a wife. lol. But I promise you (think Scarlet O’Hara) as God is my witness these projects will not lick me! And when they’re over I will make more! So awesome. But I do have a question about the ceiling mount. 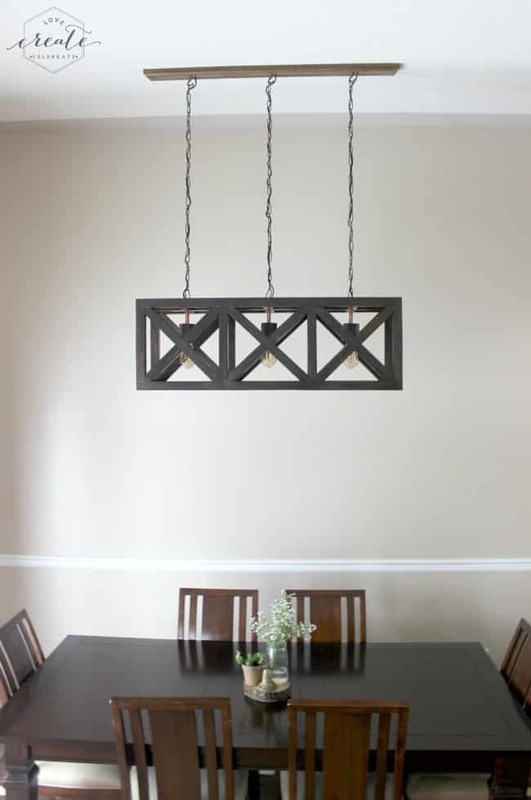 My husband recently built me a version of the $1300 Darlana Linear Pendant light, for obvious reasons. 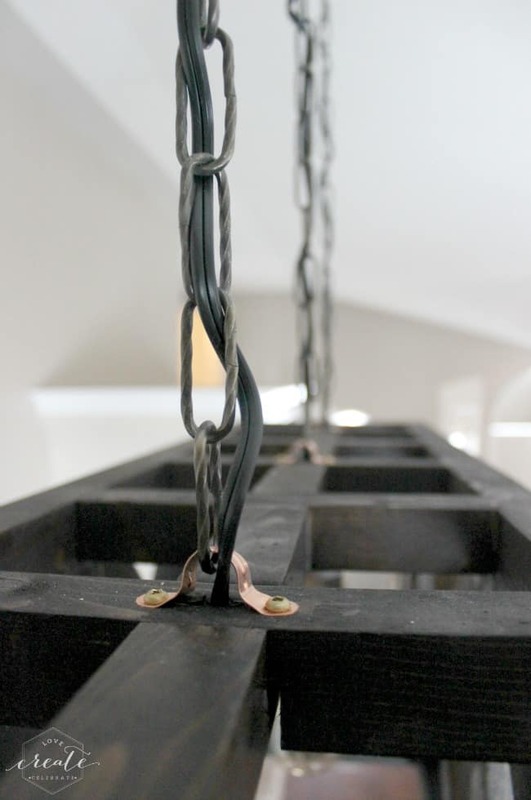 It will be going into our new house when its complete, but we aren’t sure how to securely attach it to the ceiling. 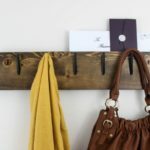 How is the wood Plank attached and what type of electrical box did you use? Thank you! We attached it all back into the existing sockets. We router out the 2×4 on the ceiling and fed all the wire through to the original box. We anchored the 2×4 into the roof joists (in four spots). Hope that helps! 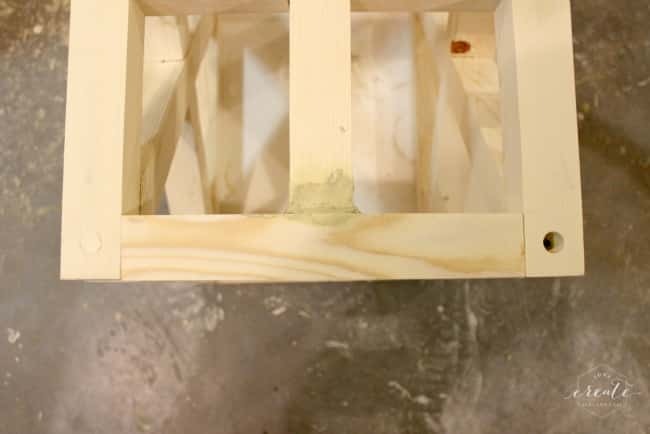 Can you please tell me what stain/finish you did on the wood? What a statement this makes! Beautiful & pinned! Awesome project, Lindi. Thank you for sharing. I’m going to start somthing similar. 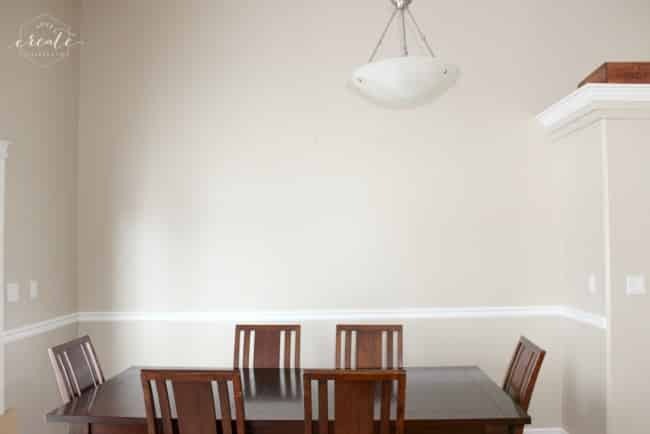 What kind of light sockets and wiring did you use? Trying find some on amazon, so many to choose from. I did this build yesterday for my parents. They have a huge table so I did 4 lights vs the 3 lights. I will send pics when it’s all done. That’s great! I can’t wait to see the pics! Hey! So glad you like it! No, we didn’t ever use any heat resistant protector. Honestly the bulbs are so far away from the wood and don’t get close to hot enough to do any damage. Ours is on every day and still looks and works great! Hope that helps! It’s so beautiful! I love this idea so much! Can’t say if it’s a DIY light. Thank you for sharing the tutorial! What an inspiring project to try.